LIIF is proud to spotlight its collaborative work in the Los Angeles region and amplify a new report, Pathways to Parks and Affordable Housing Joint Development, co-authored by LA THRIVES, Enterprise Community Partners, and the Southeast Asian Community Alliance, in partnership with the Los Angeles Regional Open Space and Affordable Housing collaborative. LIIF is a co-founder of the LA THRIVES collaborative, and longtime collaborator with Enterprise across a variety of innovative capital strategies. The promising approach outlined in this new report exemplifies the synthesis of racial equity, climate and health at the core of the Strong, Prosperous and Resilient Communities Challenge (SPARCC), a national initiative led by LIIF, Enterprise, NRDC and the Federal Reserve Bank of San Francisco. This post first appeared on the LA THRIVES blog. Faced with a mounting housing and climate crisis, Californians have doubled down and committed by an overwhelming majority to solving these issues. In the last several years, voters have approved a series of bond and sales tax measures for parks, affordable housing, and green infrastructure. A portion of many of these funds will be set aside to specifically target the needs of vulnerable communities and could have a potentially transformative impact. While the parks and housing sectors have traditionally worked independently of one another, a growing group of organizations and partners are working to make the case for parks and affordable housing joint development. 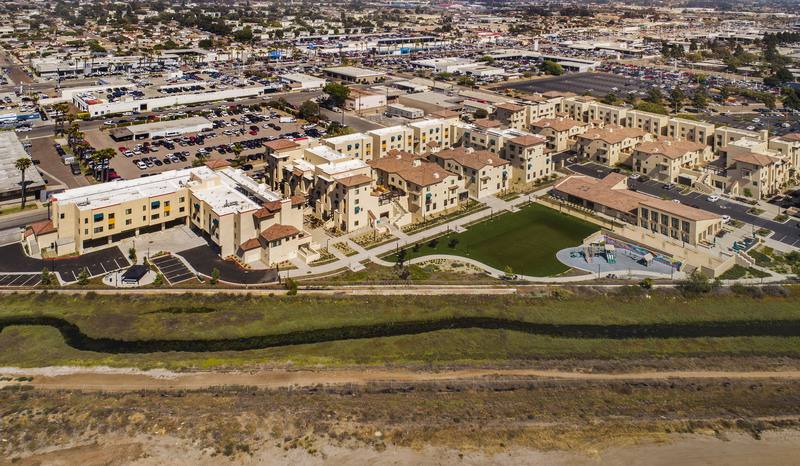 As part of the Los Angeles Regional Open Space and Affordable Housing (LA ROSAH) collaborative*, LA THRIVES, SEACA, and Enterprise Community Partners have jointly co-authored a new paper outlining how these siloed investment systems can work together. 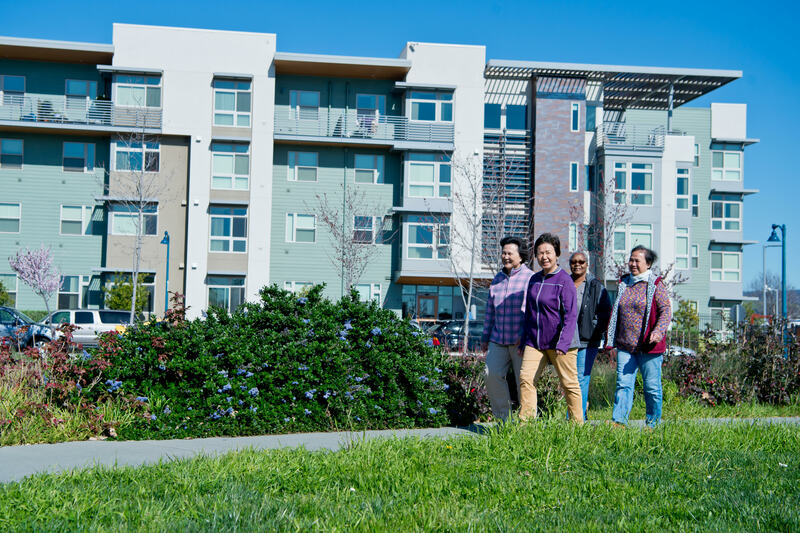 Along with our partners, we are excited for a new approach to leverage these investments and help low-income Angelenos live in homes near transit and parks in order to create healthy, climate-resilient neighborhoods. However LA ROSAH partners do not believe that advocating for an end to investment in the LA River and other greening projects is the solution. Instead, we advocate for smart, inclusive solutions that leverage these investments to expand economic opportunity through access to good jobs and more affordable housing. One strategy we are exploring is joint-development that can capture economic value, prevent or mitigate displacement, and create lasting long-term stewardship of our rivers, trees and natural environment. There’s a clear nexus between urban parks and housing as cities grow. In fact, that relationship has formed the basis of several state programs in California, like the Quimby Act and the state’s Housing-Related Parks program. To create compact, livable neighborhoods we need to create accessible, shared public yards. But we’ve largely failed at providing low-income households and communities access to parks and open space. By linking parks and affordable housing, we can help park agencies serve low-income households, who can also serve as park stewards without fear of being displaced by neighborhood beautification and gentrification. What might joint development look like? Enterprise Community Partners led a scan of related efforts across the national landscape, and we found a set of 5 typologies of opportunities for housing and parks to be established on a single site and connected through multiple parcels, alleys, and green pathways within a neighborhood. What do we hope happens next? We hope that our local parks agencies and conservation authorities (LA County has 3 – the Santa Monica Mountains Conservancy/Mountains and Recreation Conservation Authority, the Rivers and Mountains Conservancy, and the Baldwin Hills Conservancy) seriously study and adopt our recommendations to enable and fund parks and affordable housing joint-development. More broadly, we are calling for the parks and green infrastructure sector to take on a larger anti-displacement policy framework that engages and protects economically vulnerable communities. Major regional infrastructure projects like the Upper and Lower LA River restoration projects need to adopt equity policies and programs to ensure benefits to existing residents along the river. Not only have Metro and other transit agencies moved in this direction, the state’s climate investment program has already done so (see anti-displacement criteria in the Affordable Housing and Sustainable Communities and Transformative Climate Communities programs). Our partners are calling for a Displacement Avoidance Policy to be included as part of the Measure A expenditure plan as well as the establishment of Countywide Displacement Protections Commission to address the displacement crisis across all County agencies and projects. We’ve only scratched the surface. We think there’s plenty more to explore: enhancing park operations and programming through joint development, connecting greening and infrastructure with homelessness initiatives, and deeper climate-resilience benefits to name a few. For more, download the full Pathways to Parks and Affordable Housing Joint Development report.